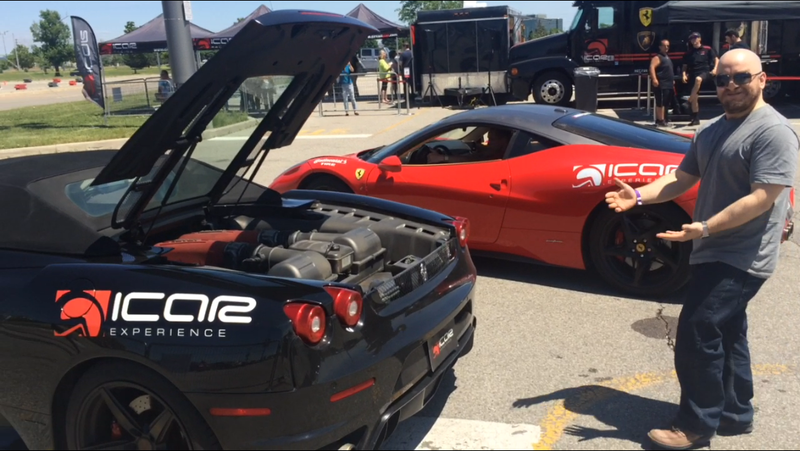 ICAR Luxury Supercars Experience – Selah. We picked up this deal on sale on Buytopia. 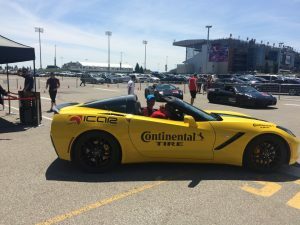 The company behind it is a French-Canadian company, out of Quebec, called ICAR Mirabel and they were quite easy-going, made us feel at ease with jokes, hosts us very well and, most importantly for me, didn’t restrain us on the track if they thought we could handle ourselves. 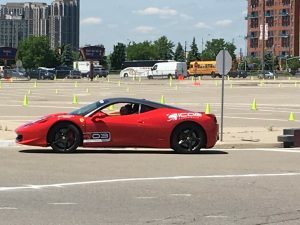 The deal, itself, cost $99 for a Corvette Stingray, $129 for a Ferrari F430 or Lamborghini Gallardo, and $179 for a Ferarri 458 Italia (all prices Canadian dollars), plus taxes. On Buytopia, you get a reservation, which we did in January, and then we waited until June for the actual day. 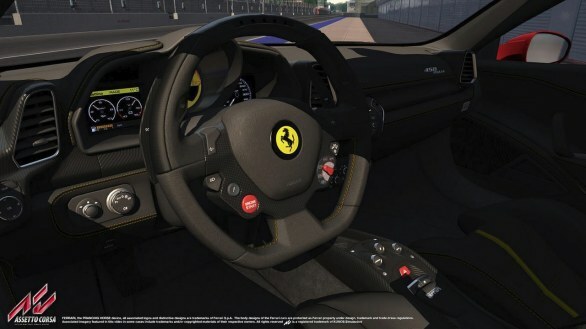 I was pretty excited for this day, so I began training myself on a virtual 458 in Assetto Corsa, a simulation racing game. I believe it did help me get almost instantaneous confidence when I stepped into the real thing. I think my instructor was surprised just how quickly I took to the car and started driving hard. 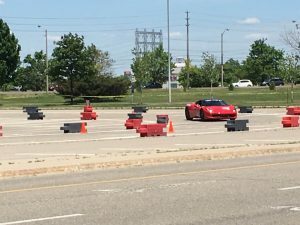 When we arrived, I noticed a large semi-truck with a cordoned off area on one side of it for the pit, and the other side had a tent for registration and purchasing photos and videos after the drive. The semi-truck turned out to house some seats and TVs where they bring you and teach you a little bit about what you’re getting into and how to drive the cars. Registration was easy enough. You pay taxes on your purchase, indicate if you want any extra laps, and then wait in some shaded tent areas until they call you for your group. I was very tempted with extra laps, I honestly would’ve paid $100-200 more for extra laps but they’re a little pricey. 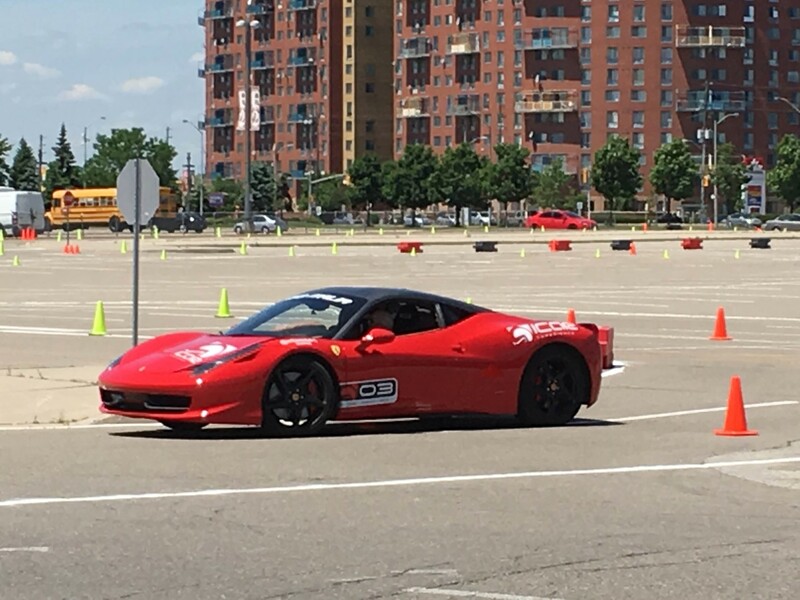 Two extra laps in the 458 cost $99, three more was $139, I believe. After my ride, I tried to wheel and deal with the boss to see if I could get some extra laps for $20-25 per but he wasn’t able to swing the deal. I was so tempted to pay what he was asking for just a few more laps but I had to be realistic. I really didn’t have money to blow and, besides, the parking lot course wasn’t worth it. Maybe at Mosport I would’ve considered $30+ per lap. Once they call your group, you file into their semi-truck, which has seats and TVs and, bless them, air conditioning, and your instructor goes through a few slides about expected conduct, proper seating, proper hand placement on the wheel, proper cornering, etc. It’s not meant to teach you the theory of racing or anything like that but it’s enough to give you a heads up about what to do on the track. Once done, you exit the truck out the other side and you’re in the pit. The cars are there and they’re coming in and out frequently. The first thing they do is get your group to stand by the car, one by one, to take a nice photo of you. Heads up, the photo costs $20 but I bought it anyway. They took a decent quality photo so I figured it was worth the memento. Heads up, though, they can only print it off. They can’t send you a digital copy. Once photos are done they take your group in a minivan around the track. 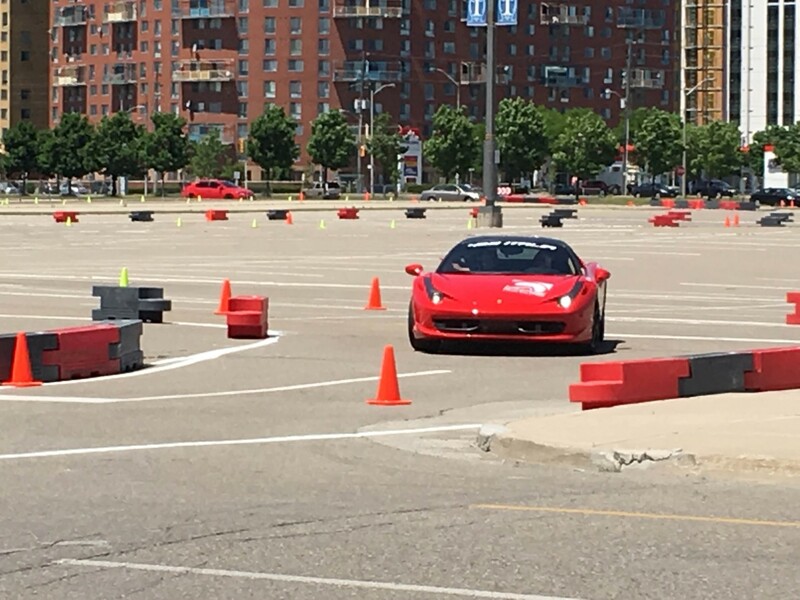 The instructor will talk about where you start, how to take corners, how to drive through the entry/apex/exit pylons they’ve setup to help you take corners better, and how to accelerate out of corners. There’s two laps of that so you can learn the corners and then it’s back to the pit. Now it’s just waiting for your turn to jump into your car and go. 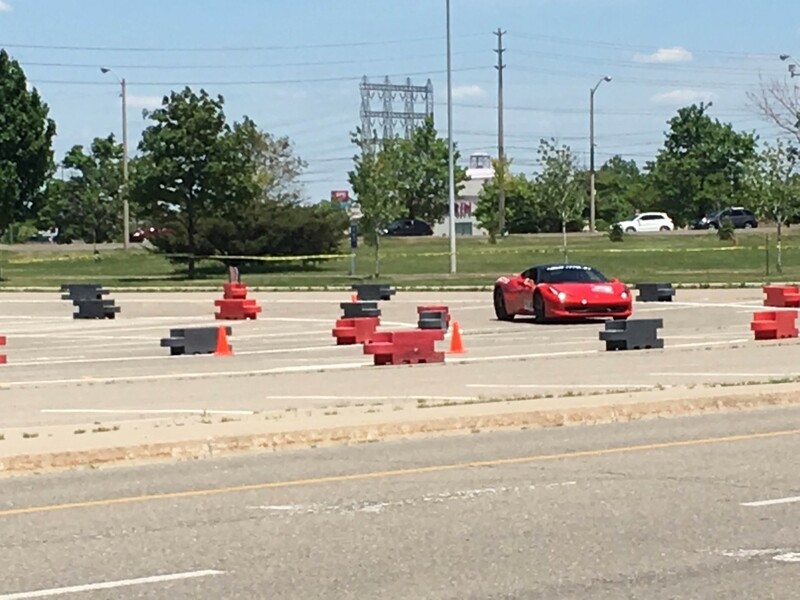 The course we had was laid out with pylons in a large parking lot. I suspect the course they made may have taken 45-60 seconds to complete for us novices. Corners included entry/apex/exit pylons, which you’re supposed to go through (and rightly so they’re the optimal line), so you go through those and, once on the straight, there are no more cones to drive through you just put the pedal right down until a set of pylons indicates the braking zone for the next corner. I had two laps in my package and, without the hope of really buying more, I knew I had to fit a lot of living into those two laps! :) Before I even left the pit I asked the instructor if it was okay to disable the automatic transmission and go with paddle shifting. This was something they specifically discouraged in the instruction time but I told him I was used to it (which I am from sim racing) and would love to try it. I really wish now that I had also asked to turn off ABS and traction control and also to set the proper track mode for the car. I suspect they wouldn’t have let us do that, though. The cars, while plenty powerful, were probably de-tuned for safety. Once on the track, I took it easy through turn one but then almost immediately I started putting the pedal to the floor and braking hard. 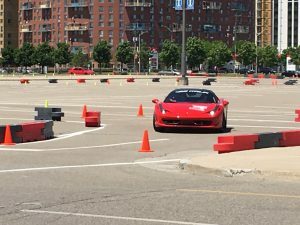 I was very happy my instructor didn’t seem to be worried about my ability to handle the car. The laps go quick so I wanted to make the most of them. Watching the video of my drive, I realize I was driving enthusiastically from corner exit to corner entry but I was really lollygagging through the corners. If I had to do it again I’d try to see how fast I could skip through those corners. I loved every second of it. The feeling of sitting in the car, being at the wheel, being at the command of that engine, hearing the rev of the engine, and feeling being pushed back into your seat by the acceleration, the raw power, the braking strength, the g-forces going through the corners. I loved all of it. For you gear/petrol heads, you’ll understand what I mean, for others, I’m sorry it’s just so hard to convey what I really felt and still feel about it. It’s sublime. It’s beautiful. It’s exciting. It’s an adrenaline shot and it’s a blast. That’s why, if the price were right, I could’ve spent a lot of money going around and around that poor little parking lot course just because the car made it so amazing. Once your laps are up, the instructor asks if you want any extra laps and you can always get more at the registration desk. I couldn’t afford any more, sadly, so that was it for me. A $179 supercar experience, two laps at the wheel, maybe a total of two hours on location, and I was done. And I don’t regret one second of it. It puts a big grin on my face just writing about this even now a day later. My friend wants to see about doing Mosport later this year. 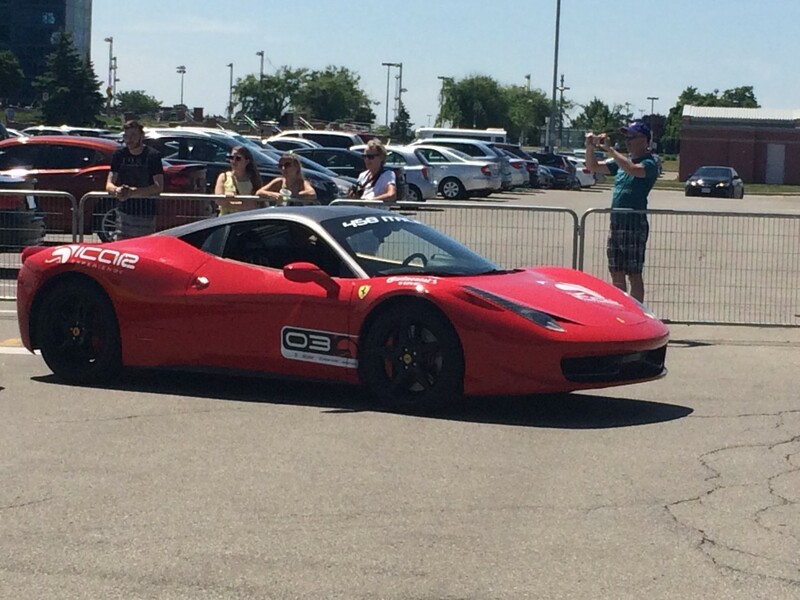 I am so tempted to do it and get some real track laps in with the 458. I may just do it. You can choose to buy the photo or video when you’re done. I bought the photo. It was well done, good lighting, good quality. I declined the video at $50 as it was too expensive for me but they did play it for me. It’s basically a dash cam pointed at you with some telemetry output on the bottom. Would’ve been nice to get it but not at that price. Would I do the experience again? Probably not. Not because it isn’t brilliant and exhilerating and one of the few things I really love in life but that it really is expensive for what it is. It’s just one of those bucket list things I wanted to do, though. As another guy I met at the event said, you’ll probably never drive one of these in real life, so why not get in a little something in with one of these supercar experiences? I totally agree. It’s a great experience. Previous Previous post: New iOS: Should I upgrade?